Singers learn to explore and control their developing voices and find a sense of camaraderie with other young men excited to sing. Cantare (Italian for “To Sing”) will perform in concert and around the community, both independently and with Concert and Lyric Choirs to provide a full SATB experience (soprano-alto-tenor-bass). Singers will learn fantastic and diverse music made specifically for young male voices. Thursdays, 6:30 p.m. - 8:00 p.m.
Young men interested in joining Cantare will do a simple voice placement prior to the first day of rehearsal. Placements take about 15 minutes, and singers don’t need to prepare anything special. One of our teachers will guide the singer through pitch matching exercises and vocal range exploration. Click the button below for more information about scheduling a placement. 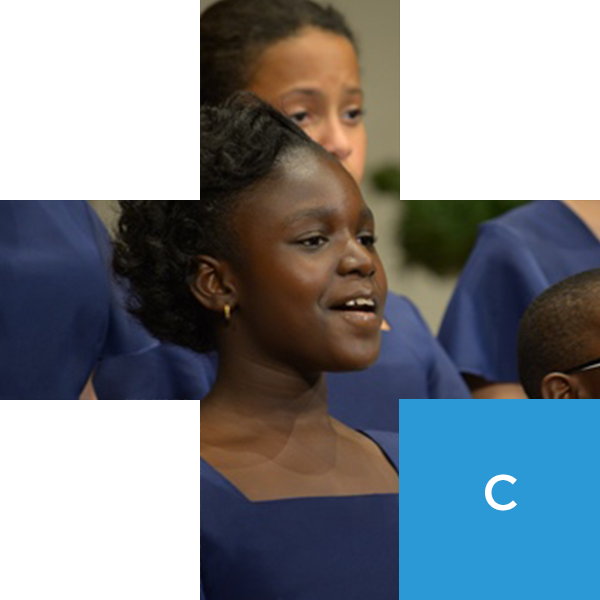 Special Note: If your young singer’s voice is just beginning to change and you’re not sure if Cantare would be the best fit, our teachers can give their qualified recommendation based on the present stage of their voice.